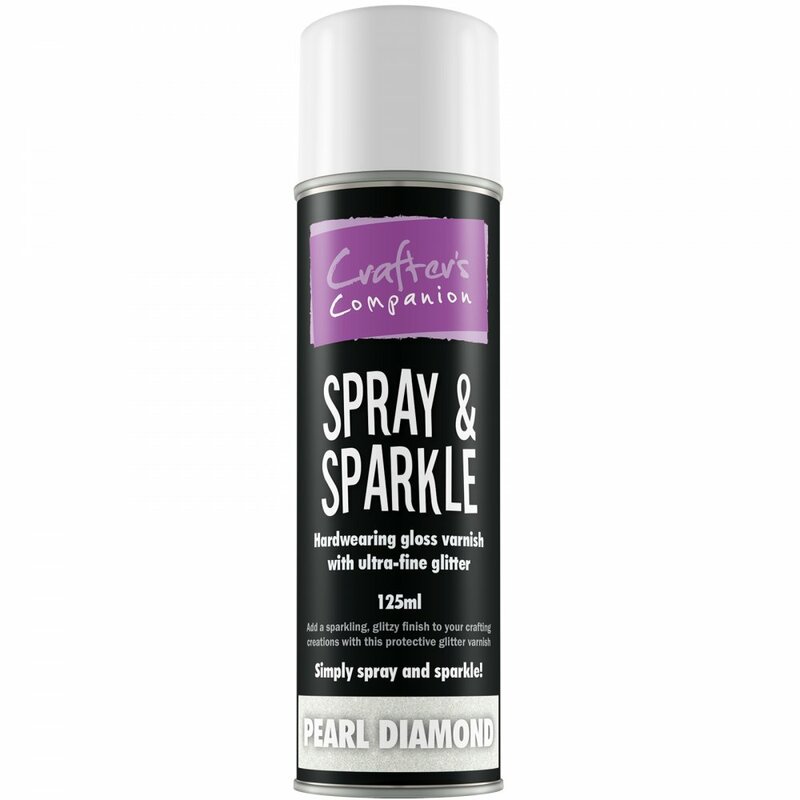 We have combined a quality satin-finish varnish with ultra-fine glitter to create spray and sparkle with a gorgeous pearl diamond finish. This fabulous spray which will add a dazzling seal to all your crafting projects spray and sparkle dispenses as a fine glittery mist which is completely acid free and non-toxic, safe to use it with the kids and around the home. Use pearl diamond spray and sparkle to add that personal finish to all your projects or create your own encapsulated glitter backing paper/card sheets.